Dr. Brandon Brock is a Certified Family Nurse Practitioner and a Board Certified Chiropractic Neurologist as well. In Dallas Texas he serves as a staff clinician at Cerebrum Health Centers and multiple other facilities. Dr. Brock has a passion for lecturing and giving learners didactic and academic skills in a way that is easy to digest, comprehend and utilize in a clinical setting. He has developed over 5000 hours of curriculum pertaining to neurology, nutrition, physical diagnosis, pharmacology, immunology, endocrinology and students of all from multiple educational backgrounds, including medical doctors, nurse practitioners and chiropractors. He enjoys teaching for Apex Energetics as well as providing education and support to facilitate learning for multiple groups and agencies. This includes state association meetings to governmental panels. 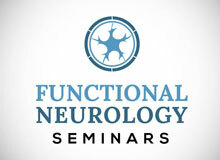 Dr. Brock received the most outstanding functional neurology teacher of the year from the ACA council of Neurology for five years straight and two times from IAFNR (International Association of Functional Neurology and Rehabilitation). This year Dr. Brock will be receiving the humanitarian award as a result of his research on injured Military Veterans and PTSD and traumatic brain injury from IAFNR. Dr. Brock is also the honorable recipient of the prestigious Living Legacy Award from Samford Universities Ida Moffett School Nursing in 2015. He holds diplomate status in Neurology, Conventional Medicine, Nutrition, Integrative Medicine and a fellowship from the International College of Chiropractors. 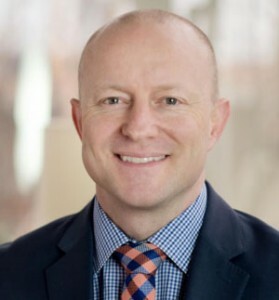 Currently Dr. Brock is working on a Doctorate of Nursing Practice from Duke University and he is planning on immediately upon completion of the program at Duke, starting a conjoined PhD program with a major in nursing and a minor in behavioral neuroscience. Dr. Brock’s unique blend of clinical and teaching experience along with a background in medicine, chiropractic, neurology and nutrition has created a very unique clinical background that has helped him treat difficult cases and offers comprehensive and multi-perspective angles on education and clinical presentations.